Simon Coveney TD, Minister for Housing, Planning and Local Government with 'Seiko Just In Time Award' recipients John McDonnell, Sergeant Marie Crowley, Sergeant John Casey (Clare) and Martin O'Sullivan, Chairman of Irish Water Safety at the annual Irish Water Safety Awards held at Dublin Castle. 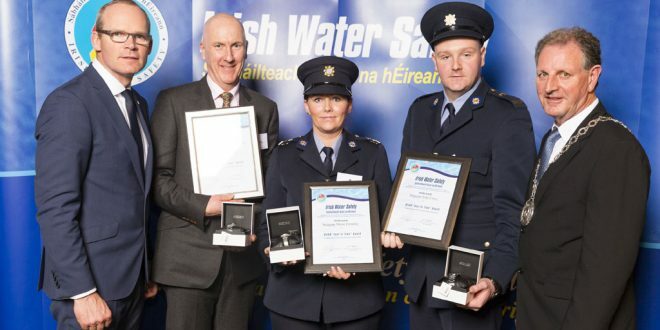 THE lifesaving actions of three heroes in Clare have been recognised at the annual Irish Water Safety Awards this week. John McDonnell, Sergeant John Casey and Sergeant Marie Crowley were presented with the Irish Water Safety Just in Time Award for their part in the rescue of a man from a car that had entered the water at Ballyvaughan Pier last August. Near tragedy was averted when Sergeant Casey, who at the time had just transferred to Ennistymon Garda Station from Ennis, jumped into the water along with local John McDonnell to save the man. They both managed to pull him from the sinking car and carried him safety ashore, while Sergeant Crowley managed gathering onlookers. At the time, Superintendent Martin McGonnell praised the garda members and Mr McDonnell for their quick thinking in dealing with the emergency. The award was presented to the trio by Minister for Housing, Planning and Local Government Simon Coveney at the annual national awards night for IWS at Dublin Castle. They were among a total of 47 rescuers, whose brave actions in saving a total of 32 lives, were honoured. 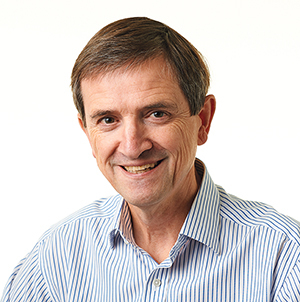 “Complacency around aquatic environments is simply not an option,” remarked Mr O’Sullivan, adding that “30 children aged 14 and under drowned in the last 10 years, reflecting the importance of constant uninterrupted child supervision”.